Harry Potter fans, get ready for a trip to the bank that won&apos;t feel like a chore! That&apos;s because the Wizarding World&apos;s iconic bank Gringotts is opening in the UK in April. Well, more specifically, it&apos;s opening at Warner Bros. Studio Tour London – The Making of Harry Potter. Wizards and muggles can discover the grandiose halls where galleons, sickles and knuts are stored away thanks to the hard work of the Goblins who run the bank. Highlights include exploring Bellatrix Lestrange&apos;s vault (where hidden treasures like the Sword of Gryffindor and Helga Hufflepuff’s Cup await), discover behind-the-scenes secrets on how the goblins&apos; prosthetics and costumes came to be, and of course walk through the grand banking hall itself. Inkwells, quills, ledgers and piles of Galleons, Sickles and Knuts will complete the goblin tellers’ desks as seen on screen. At 16,500 sq ft it will be the studio&apos;s biggest expansion to date. Ahead of the opening Warwick Davis, who played Griphook, as well as James and Oliver Phelps, who played the Weasley twins, came to check out the new attraction. 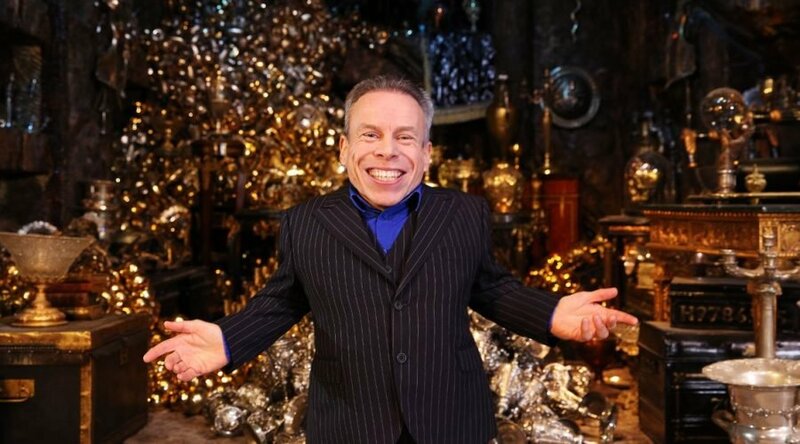 Warwick Davis said: "It’s so exciting to be back inside Gringotts Wizarding Bank after so many years. "I spent a lot of time here as Griphook and it’s great to see the Studio Tour bring the original set back to life. "I know visitors will love discovering the details of the goblin prosthetics and the Lestrange vault for themselves and there are more exciting additions to be revealed." In fact, each Goblin prosthetic mask took weeks to create, with every hair individually inserted and veins painstakingly painted by hand. The expansion will open to the public on Saturday 6th April, but you can already book your tickets to the attraction on the Studio Tour website . First sneak peek of the original Gringotts Wizarding Bank, the biggest expansion to date at Warner Bros. Studio Tour London – The Making of Harry Potter, open 6th April.